Have an item that needs repaired? Click here! or through our support forum on RCGroups, located here. Nano IV Released - X24 Back in Stock with JETI support! The 5th generation 2.4GHz technology is here! The new Nano IV receivers offer the same great features that you have come to expect, and now offer even better range! The standard X24 has been discontinued. The deluxe X24 is now available, and at the same price that the non-deluxe version was! We have added support for JETI UDI12 and UDI16 protocols, and created some JETI specific features. XPS is pleased to announce the arrival of the all new X10+ Channel Expander. Now available with top pins or end pins, this smaller unit offers the same great features that the originl X10+ had, but with easier installation options. Smaller, lighter, brighter and larger LED, and receiver inputs located side by side. Ideal for gliders and other setups with small fuselages. products as well as selling our entire product line. Come see us at booth #324! At the recommendation of our customers we have renamed the X24 Channel Expander to X24 Integrated Flight Control System (X24 IFCS for short). We agree that this name better describes the product's functionality. XPS releases the long awaited X24 Channel Expander! XPS is pleased to announce that after nearly 2 years of product development and testing, the X24 Channel Expander has finally been made available for sale to everyone. Click on the picture below for more information. XPS will once again attend the AMA Model Expo in Ontario, CA - January 6th-8th. Our office will be closing on Wednesday (01/04/16) to prepare for the show. We will be offering all of our products at the show. We will be paying your sales tax and offering some specials, so stop by booth #322 and save! We will have 6S5200mAh packs available in limited quantity at the show! XPS Introduces 6S 5200mAh Lipo Packs! XPS has once again produced all new Lipo packs for EDF and 3D aircraft and helicopters. With a 1 year no-puff warranty you can be sure you won't be getting a battery pack you can only use a few times! We offer quantity discounts for 2, 4, or 10 pieces. Place your order now before the 1st batch is gone! Click here for more information. XPS will once again attend the AMA Model Expo in Ontario, CA - January 8th-10th. Our office is closed as of today to prepare for the show. We will be offering all of our products at the show. We will be paying your sales tax and offering some specials, so stop by booth #322 and save! To celebrate the grand opening of the new runway, the Desert Hawks RC club is hosting its first jet event on Decemeber 4th-6th. Pilots are coming in from all over the U.S. to fly at this event. Click here for information. XPS now sells RCGF gas engines! We are pleased to partner with RCGF USA to provide the latest in gas engine technology. RCGF started business in 2003 and since has become a very popular and reliable brand. With their precision CNC machined components and outstanding electronic ignition systems, these affordable engines offer performance that modelers demand without breaking the bank! Top it off with a 2 year warranty and the service center located in Arizona (USA)! Check out the full line of engines here. X10+ firmware upgrade now available - now with Graupner HoTT SUMD support! We are pleased to announce the release of the latest X10+ firmware (v1.6) which adds the ability to use Graupner's HoTT SUMD capable receivers! Now you can power your HoTT system the proper way! See here to download the firmware. The Serial Link is required to upgrade your X10+. Model Aviation magazine does X10+ product spotlight! Thanks to Model Aviation magazine for their plug in this month's Model Aviation. A brief review of the X10+ Channel Expander is located on page 16 of the June 2014 issue. To see even more information click here! X10+ firmware upgrade now available - now with DMSS X-BUS support! We are pleased to announce the release of the latest X10+ firmware (v1.4) which adds the ability to use DMSS X-BUS receivers in X-BUS Mode A or Mode B output modes! Now you can power your DMSS system the proper way! See here to download the firmware. The Serial Link is required to upgrade your X10+. X10+ firmware upgrade now available - now with dual receiver support! We are pleased to announce the release of the latest X10+ firmware (v1.2) which adds the ability to use dual receivers. 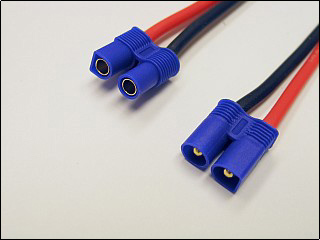 When using dual receivers, the Aux port becomes a receiver input (instead of the default 11th servo output). You can use dual XtremeLink, Spektrum, or Futaba SBUS/SBUS2 receivers for true receiver redudancy! See here to download the firmware. The Serial Link is required to upgrade your X10+. XPS will once again attend the AMA Model Expo in Ontario, CA - January 9th-11th. Our office is closed as of today to prepare for the show. We will be offering all of our products at the show. We will be paying your sales tax and offering some specials, so stop by booth #322 and save! 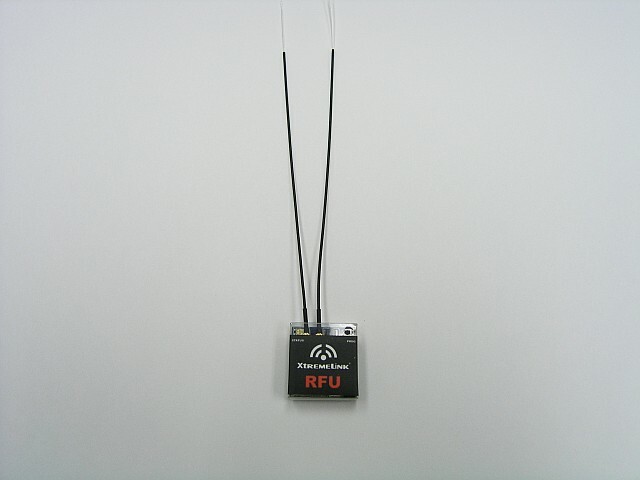 RFU diversity receiver now available! Offering the best range (yes, even better than our Nano receivers), the RFU is now the flagship receiver for the XtremeLink radio system. This tiny receiver has a single serial port output and interfaces directly to our X10+ Channel Expander. 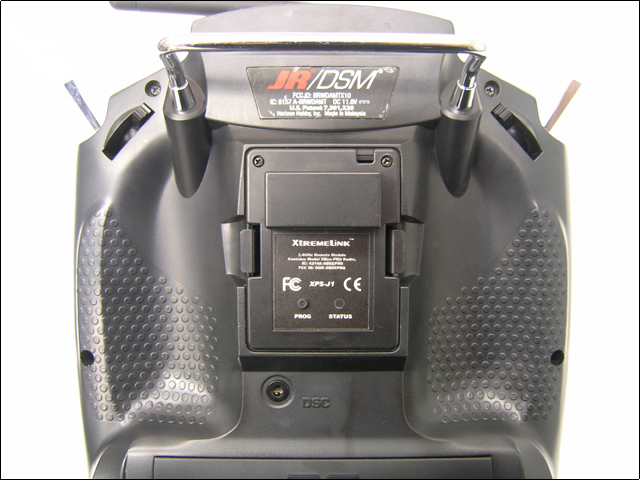 It can also be used with flight stabilization systems, 3 axis gyro systems, etc. by changing the output to Spektrum satellite or Futaba S.BUS protocols! See the manuals section to download the manual for the RFU. 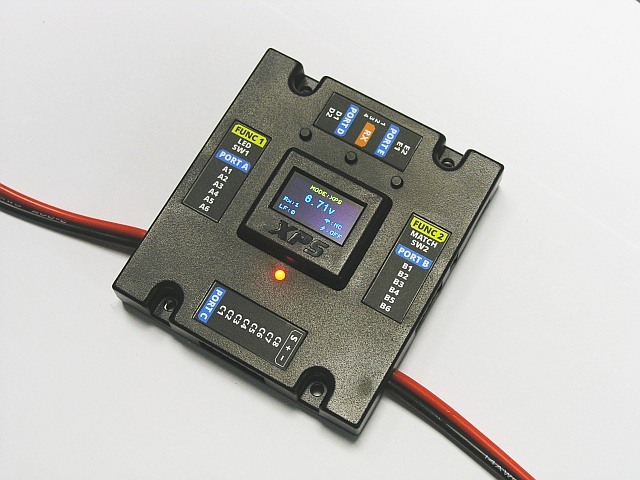 We are happy to announce the release of the JR11x transmitter module. 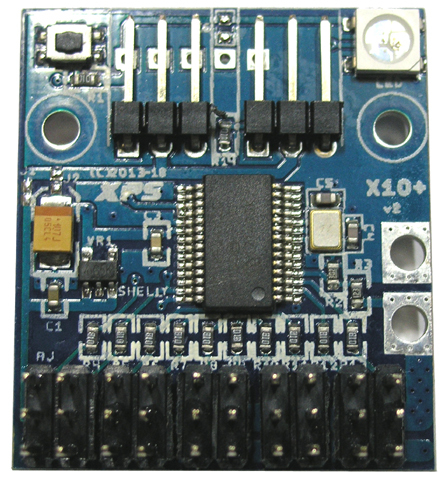 This module replaces the stock DSM2/DSMX module in the JR11x transmitter. 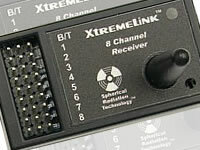 You can now convert your transmitter to be XtremeLink compatible! See the manuals section for detailed installation instructions! 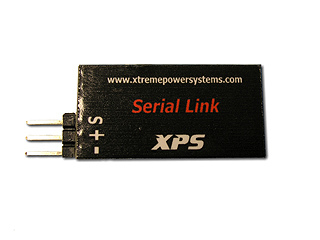 Xtreme Power Releases New Products! With its huge servo bus current capability and numerous programmable features, the X10+ Channel Expander is a real game changer. This multi-platform product supports a serial data stream input from XtremeLink receivers, SBUS (and compatible) receivers, and Spektrum satellite (and compatible) receivers. Read more about this amazing device by clicking here! Take a look at the manual for the X10+ by clicking here! 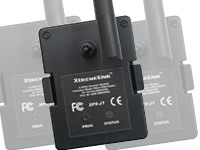 The X10+ and all future products that are not wireless will use the new Serial Link USB programmer. 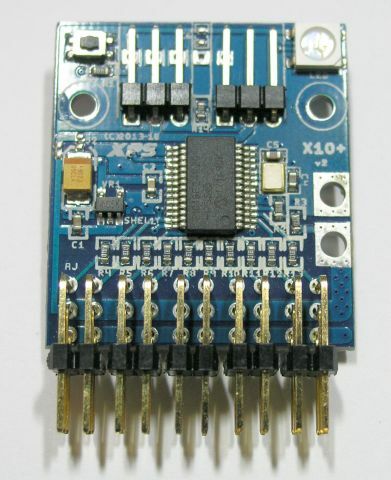 This device can program the X10+ just like the XDP does for our receivers. In fact, the XDP software was upgraded to use either the XDP hardware or the Serial Link! No needing to learn anything new! 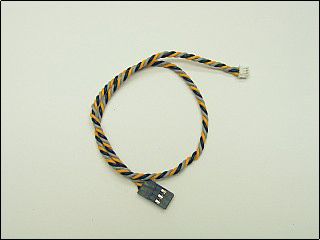 Just plug it into your PC and connect the serial cable to the device you want to use. More information can be found here! A variety of high-end cable options are now available for connecting your X10+ to your favorite receiver! Click here to see available cabling options. New firmware for the Nano receivers has been released to support the X10+. See our downloads page for details. The Nano manual has been updated too! Click here for an archive of news and announcements. 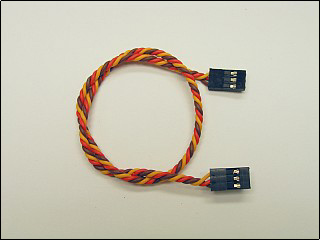 Our products are developed in-house by electronic and software engineers having more than 30 years of experience. These same engineers also happen to be R/C pilots and drivers.